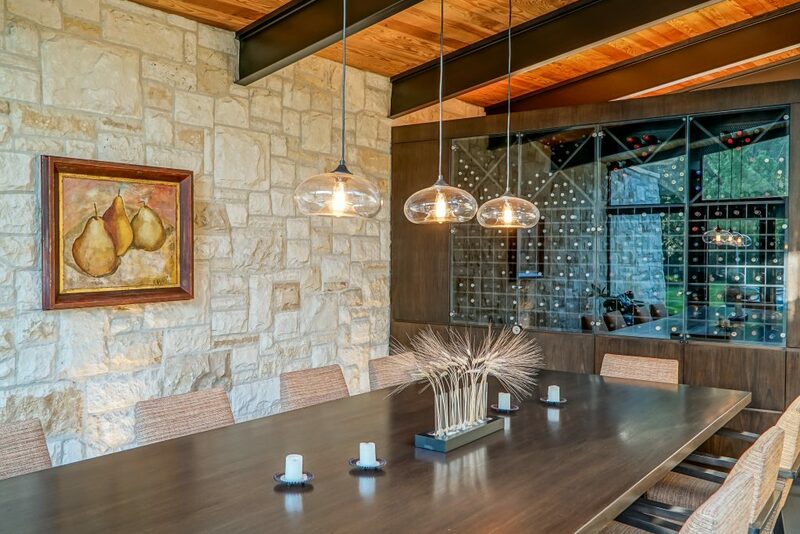 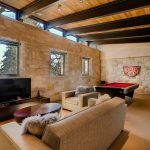 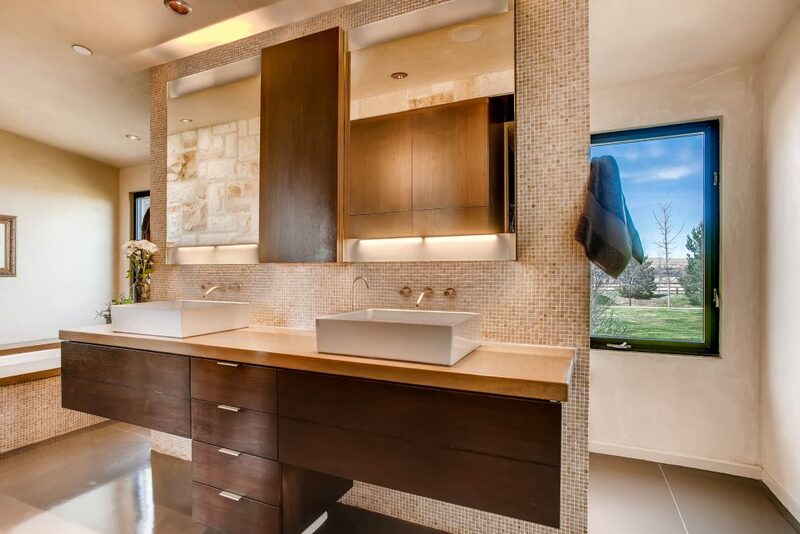 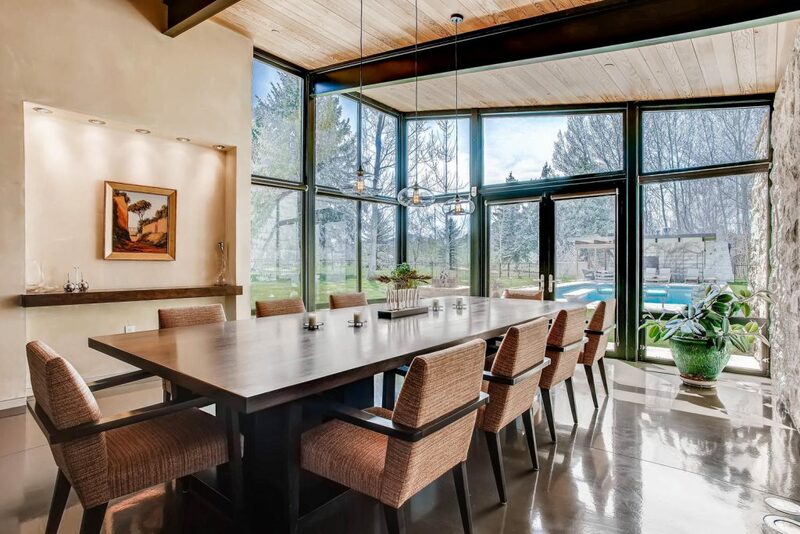 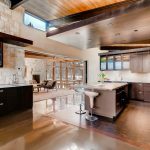 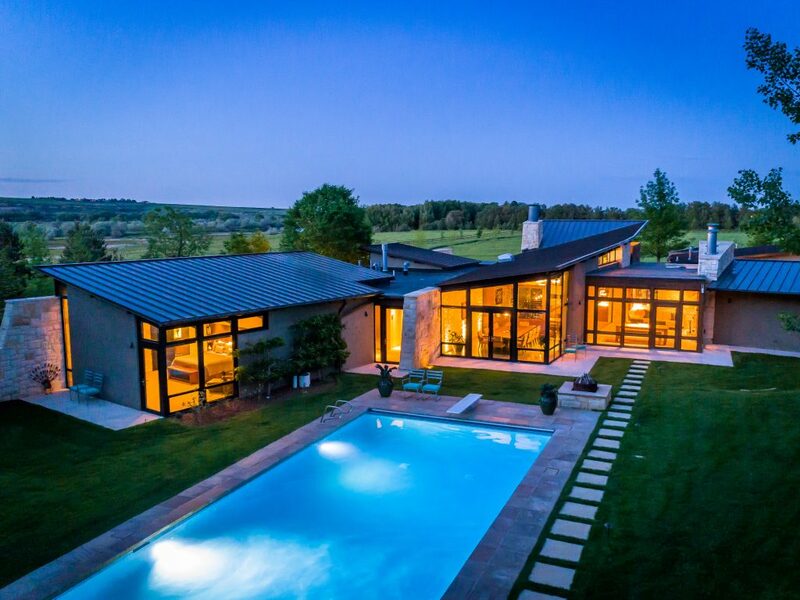 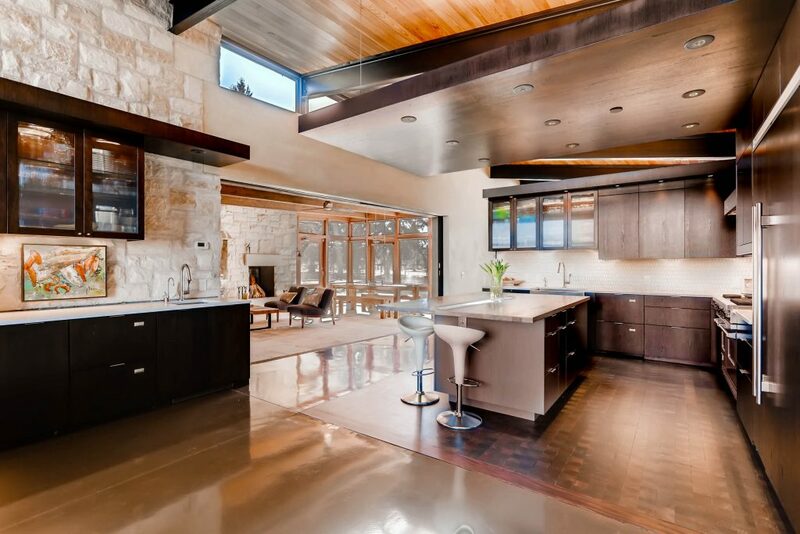 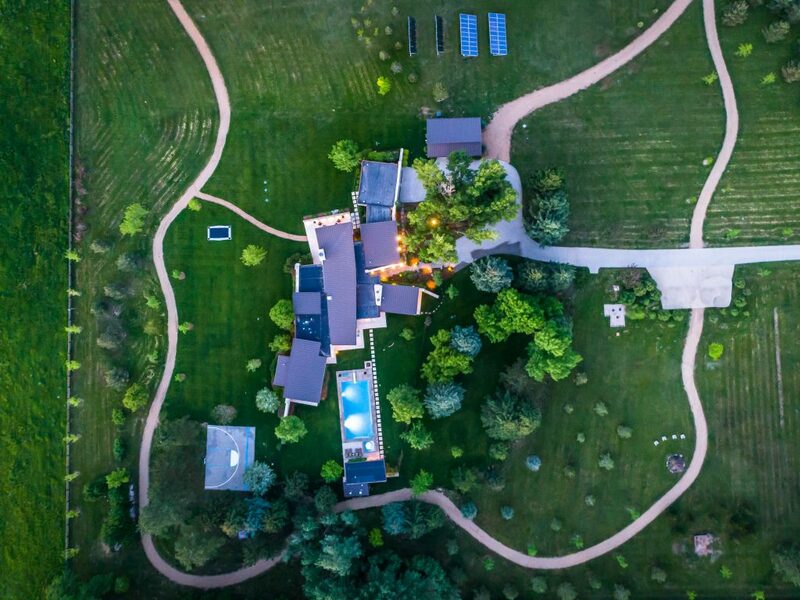 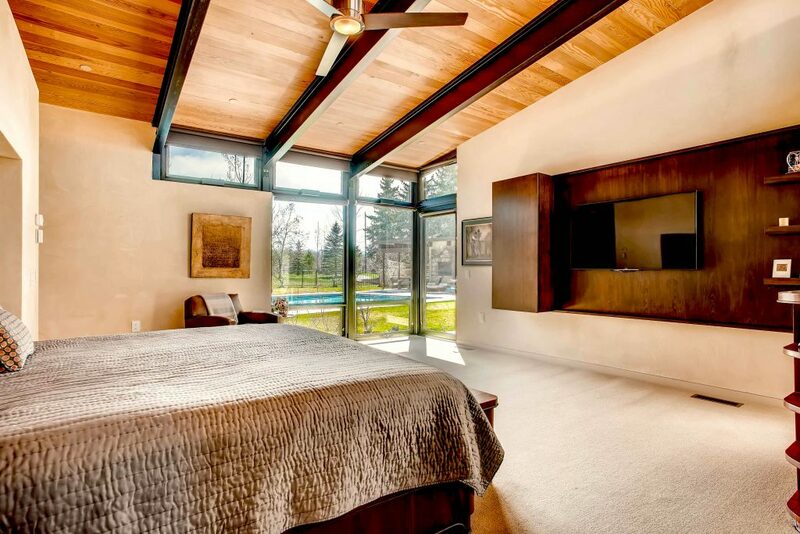 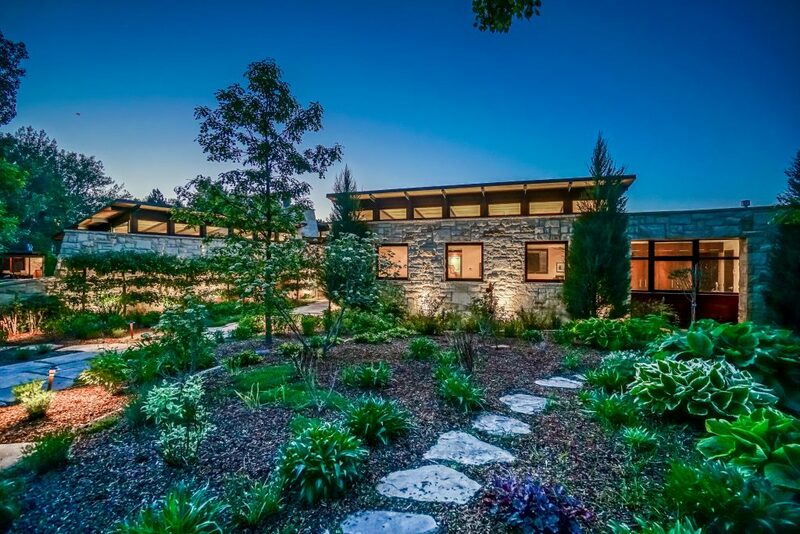 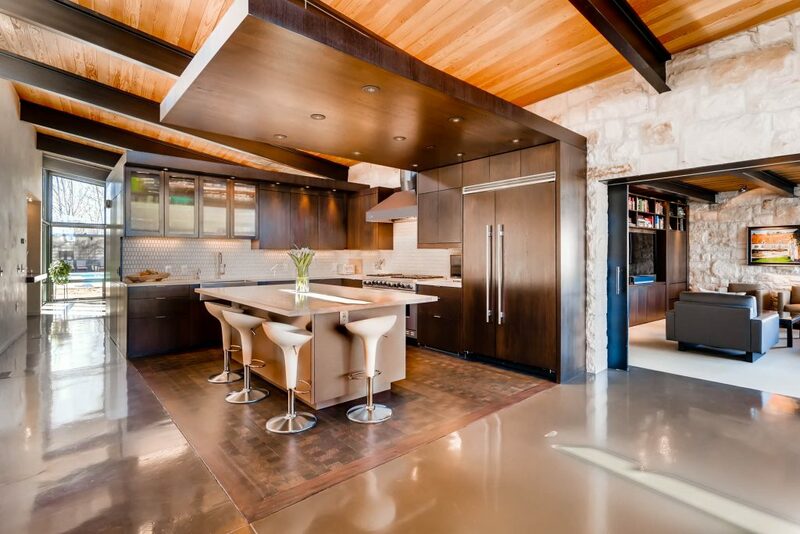 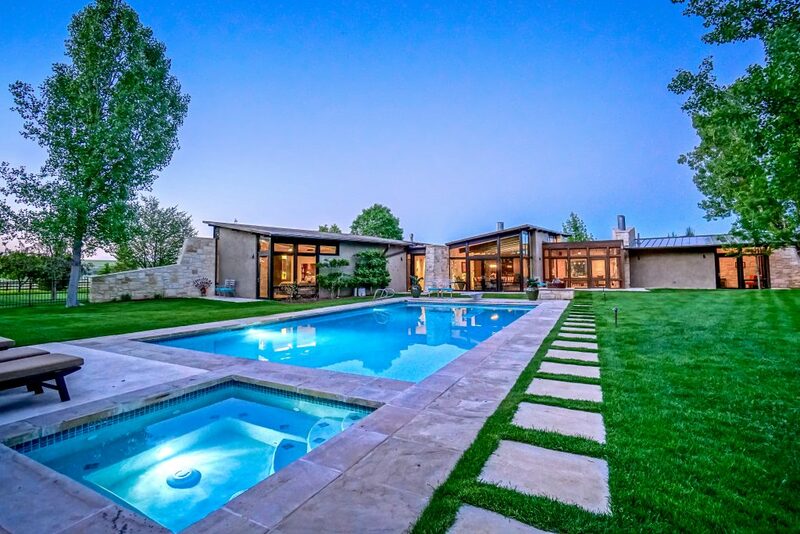 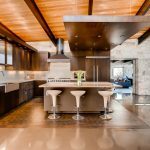 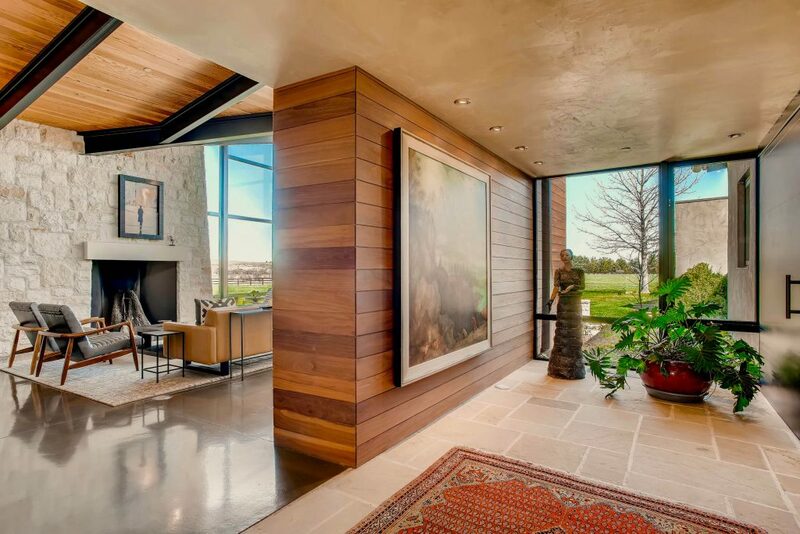 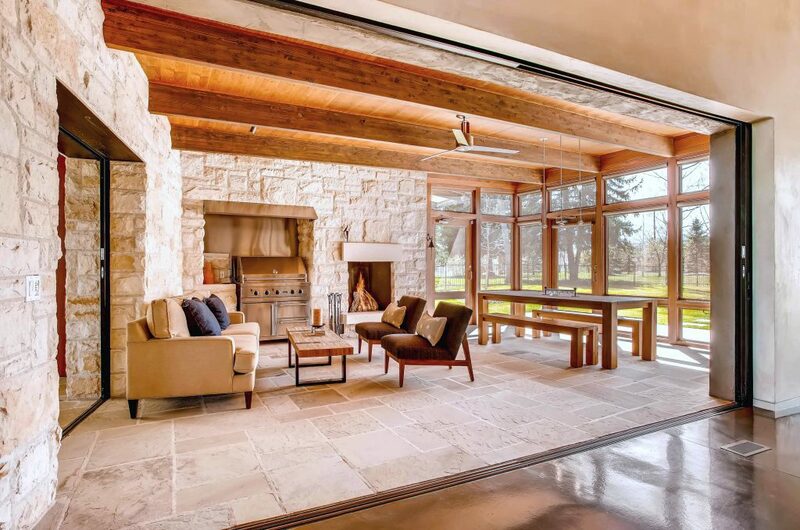 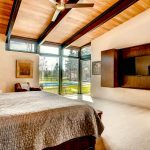 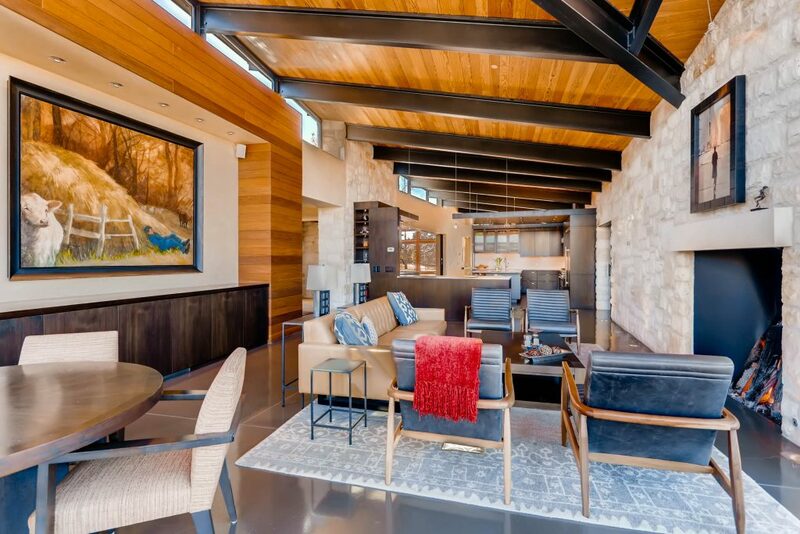 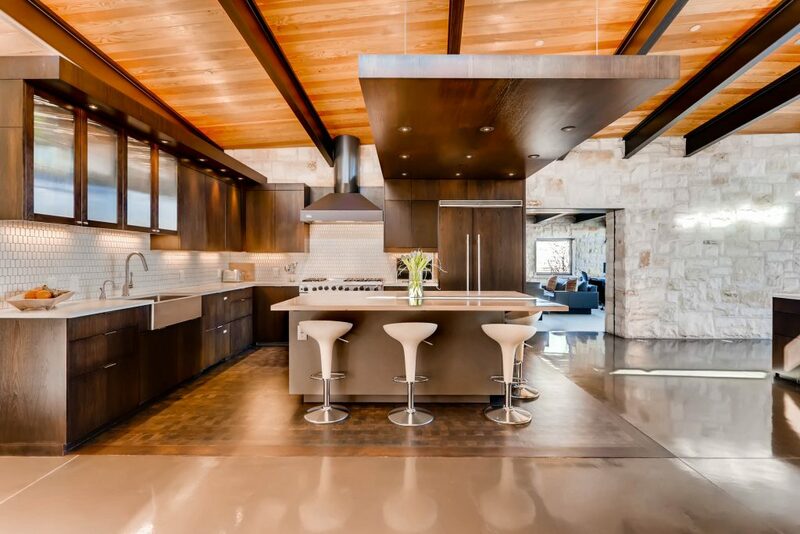 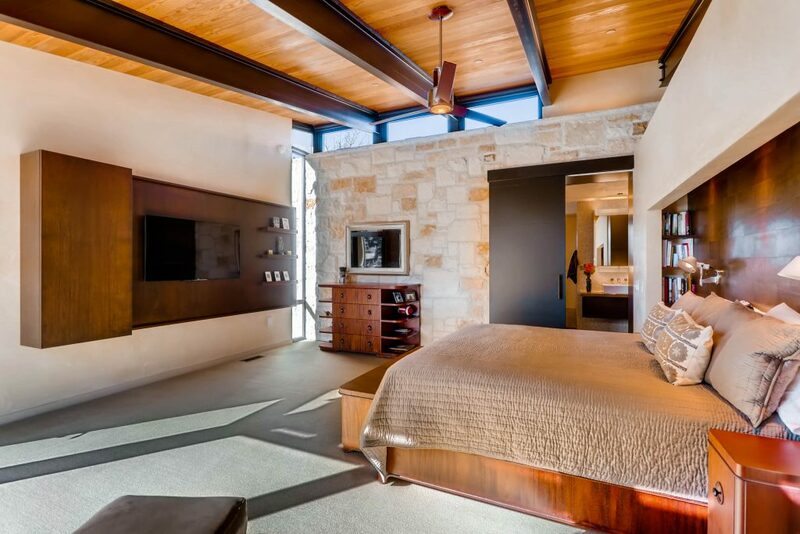 Located on fifteen acres of woods and ranch land that gaze at the white sandstone cliffs high above Boulder Creek, the site for this contemporary mid-century modern home is truly extraordinary. 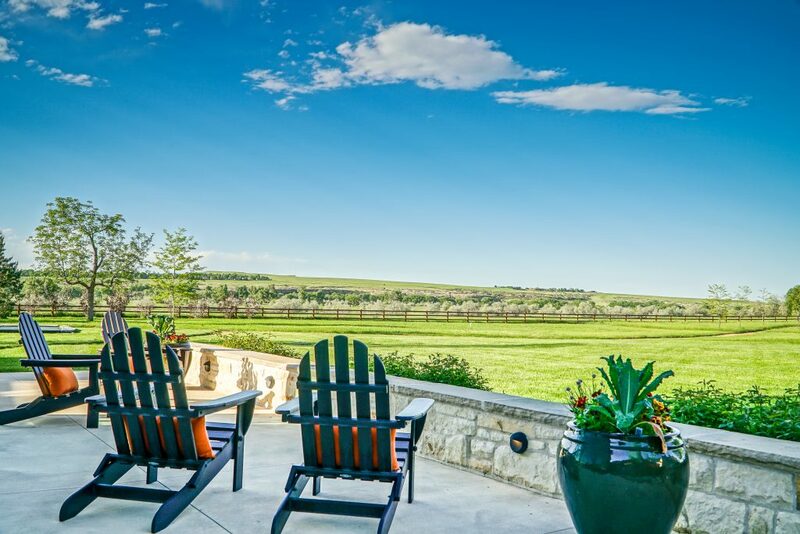 Set a quarter mile off a rural road, it’s orientation accentuates the pastoral and cliff views while creating an intimate, peaceful sanctuary to escape the world. 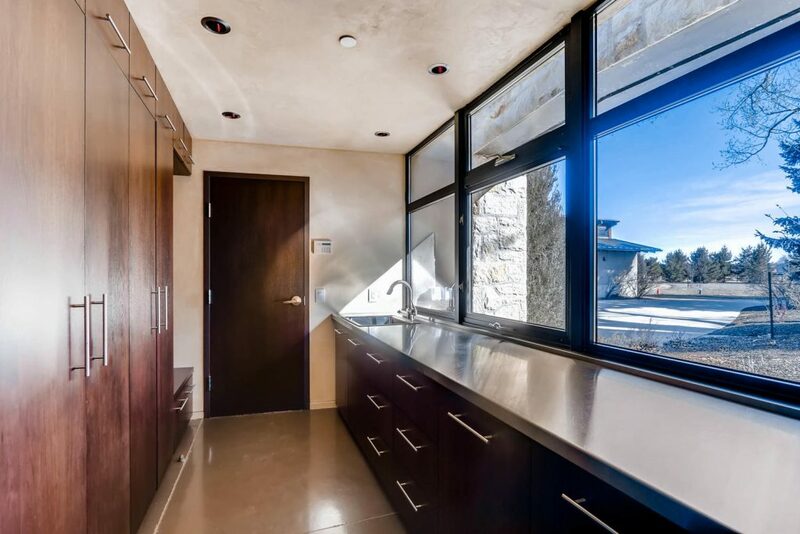 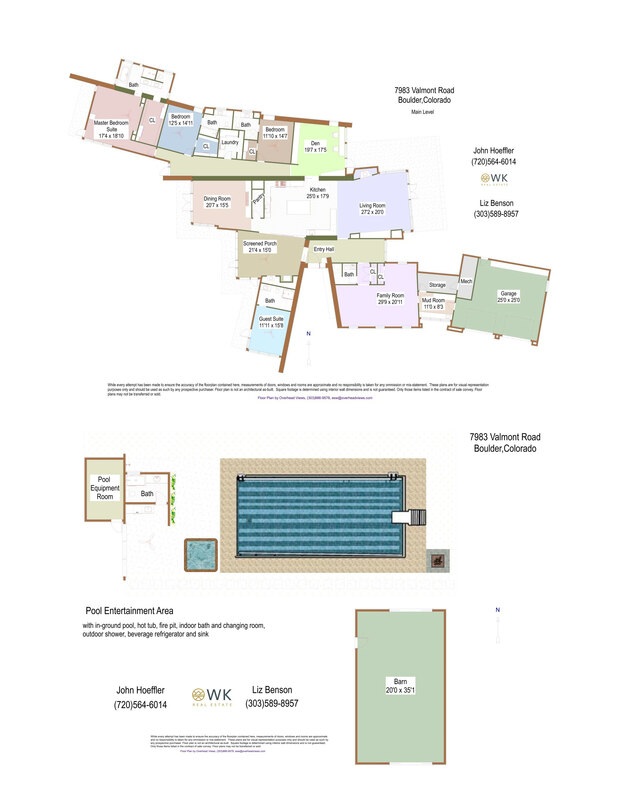 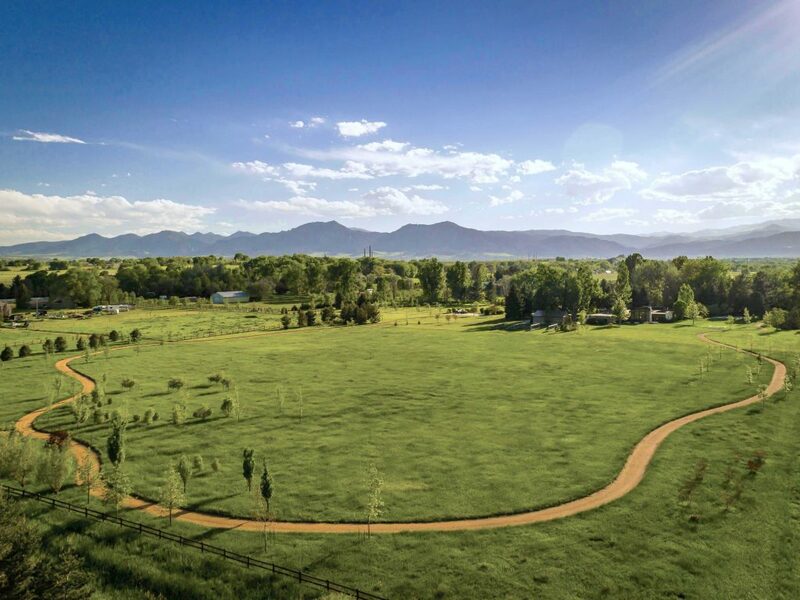 And, you’ll enjoy the easy access back to the urban bustle of Boulder/Denver and the airport. 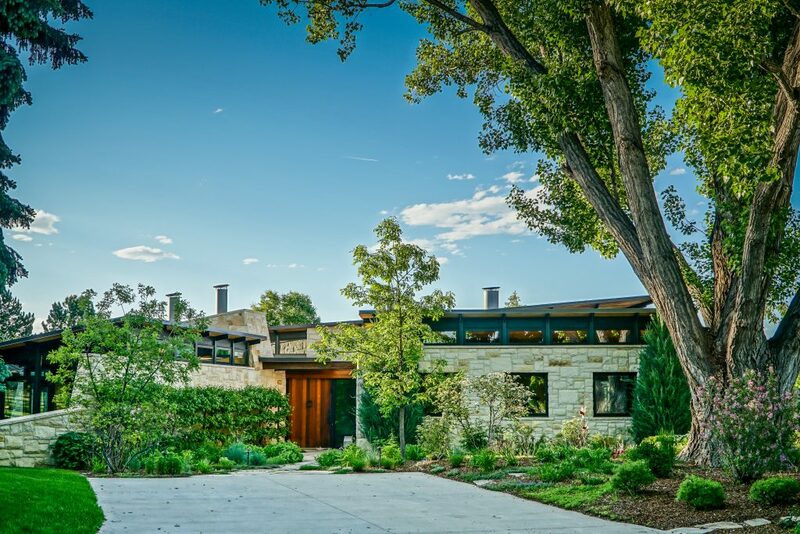 The home’s unique design weaves through cottonwood, oak and spruce trees with a single level floor plan that is organized in three wings (each positioned to coexist with the mature trees), connected to each other and hinged by public spaces and private courtyards. 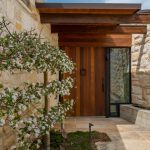 The foyer and main hallway act as conduits into wings two and three, providing broad views to the West as sliding glass doors disappear into the stone walls to reveal the screened porch overlooking the luxurious pool and spa courtyard. 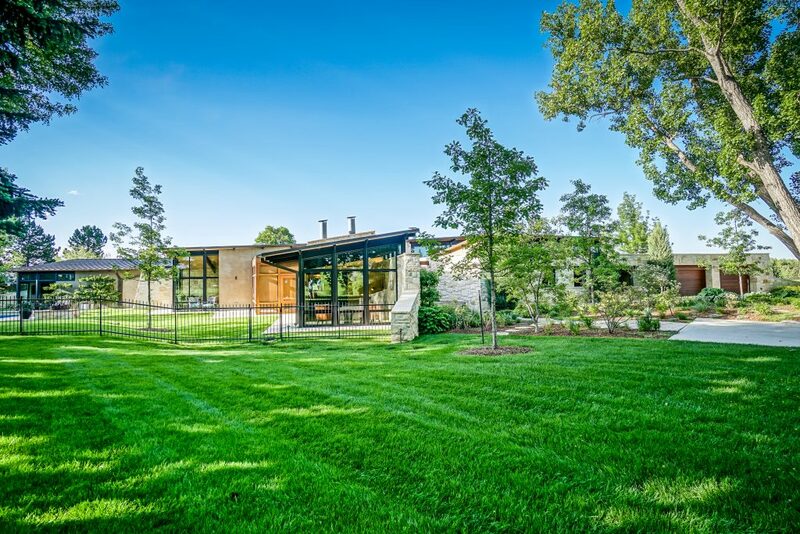 To the East a wall of glass frames the farm’s pastoral beauty. 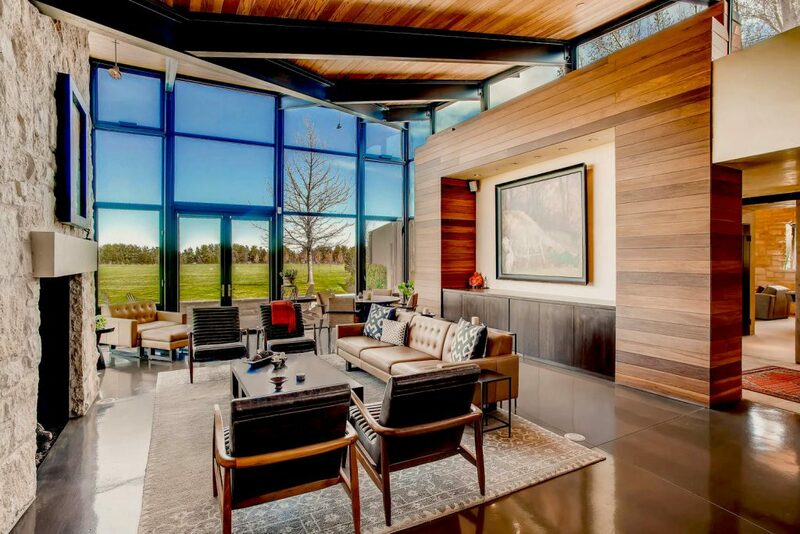 The soaring living room seems to peer out over the vast open space vistas. 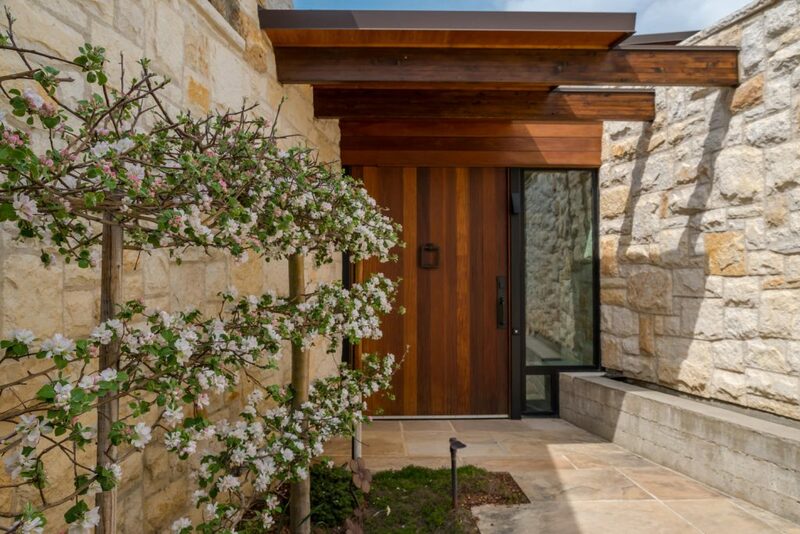 The exposed limestone walls, inside and out, convey the strength of construction and harken back to their use on early American farms. 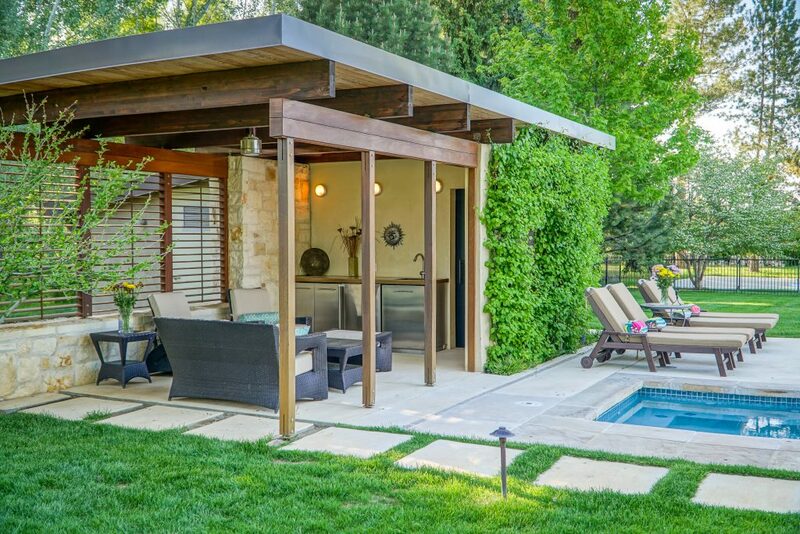 Stepping into the central section of the home, there is an open, unobtrusive layout which allows the generously sized kitchen to function as the heart of the home, opening to the dining room and screened porch, which in turn act as forays into the lush backyard pool and spa area. 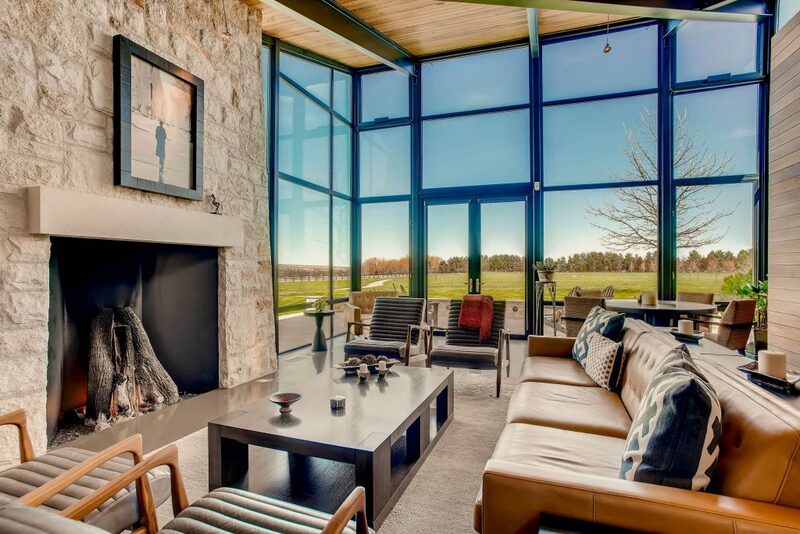 Perfectly suited for indoor/outdoor living with spaces designed for the enjoyment of a quiet evening by the warmth of the stone fireplace, an afternoon filled with good friends lounging by the resort-like pool, followed by a game of touch football and bonfire in the field, or a formal event hosted in the main living wing. 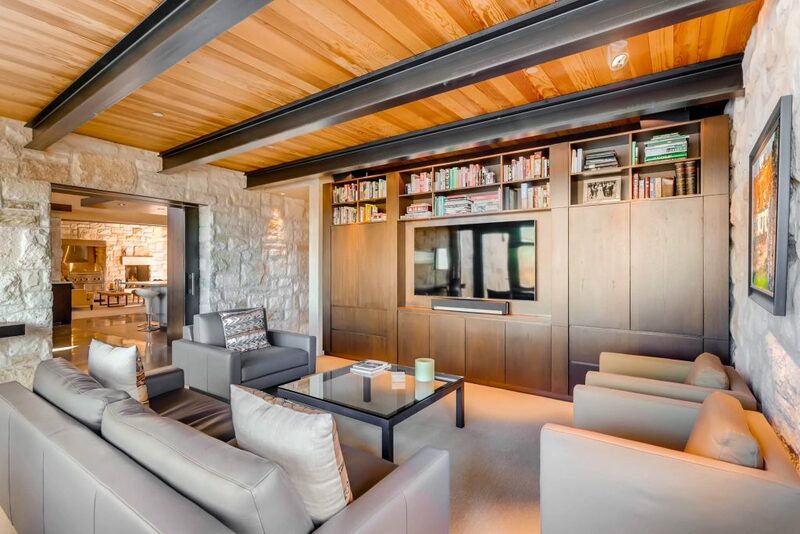 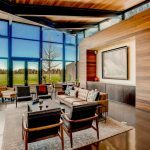 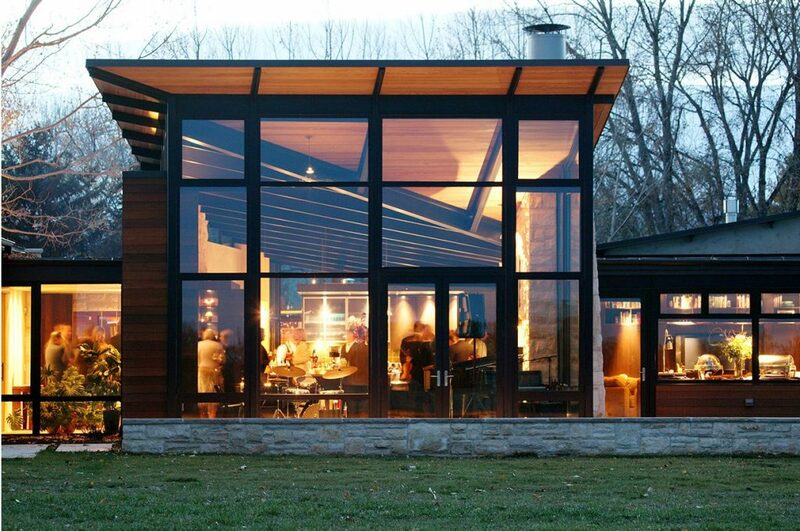 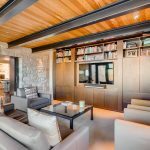 Draw open one of the weighty steel barn-style doors to reveal the home’s most intimate wing beginning with the den, complete with warm walnut built-in desks, bookcase, TV/entertainment center and seating area. 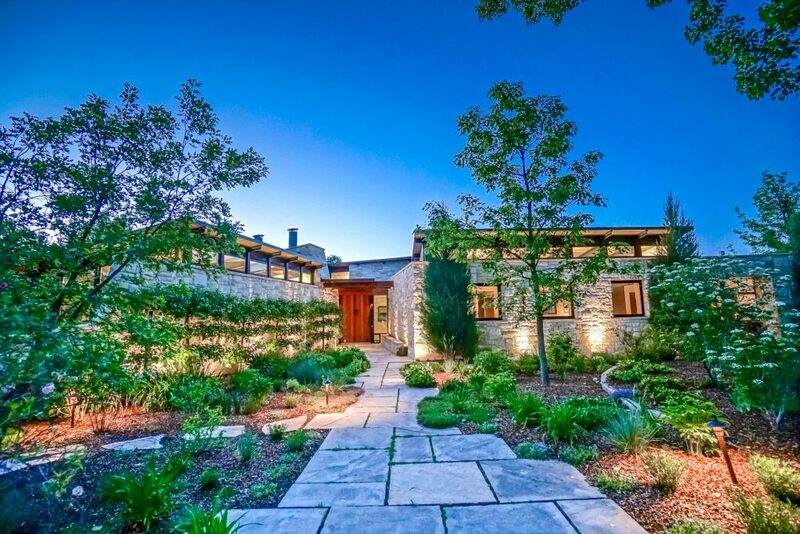 Down the long limestone-walled hallway, lit by clerestory windows and glass doors at each end, are three bedrooms, each with their own full bath, concluding with the secluded master retreat. 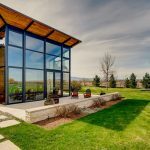 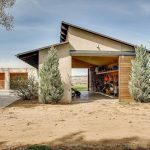 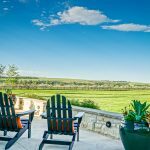 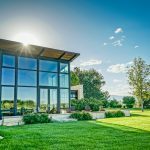 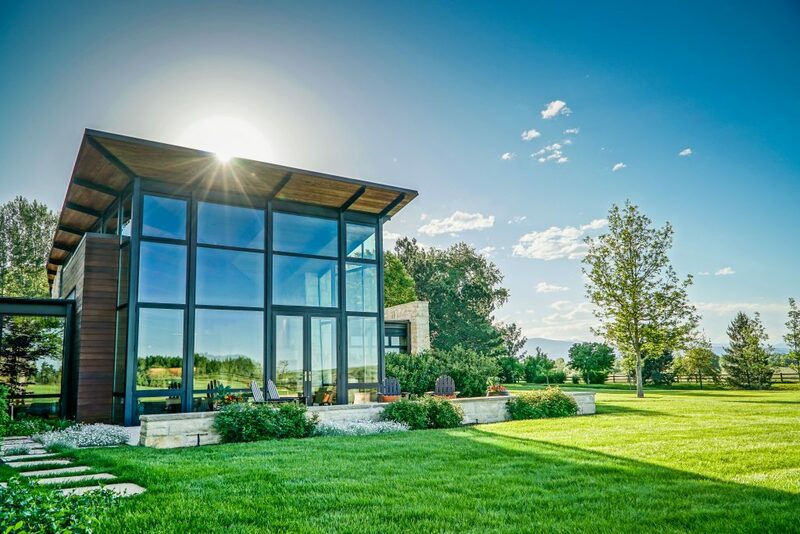 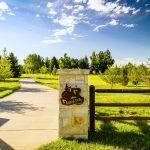 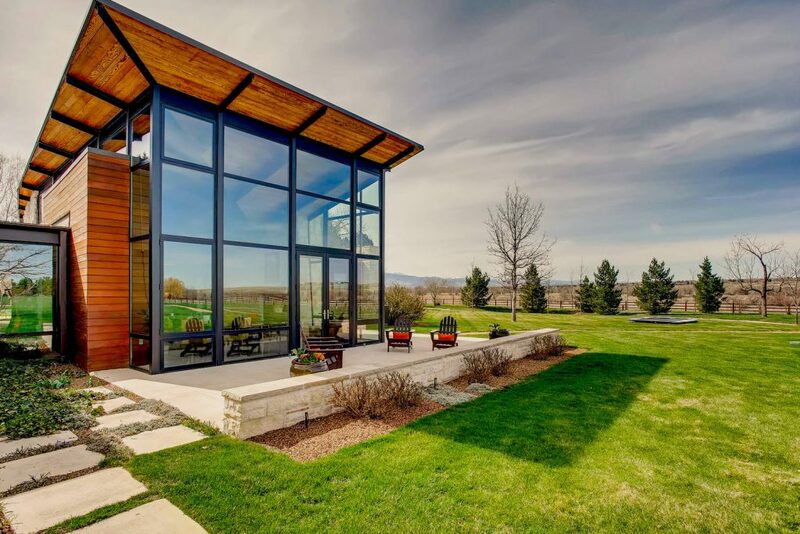 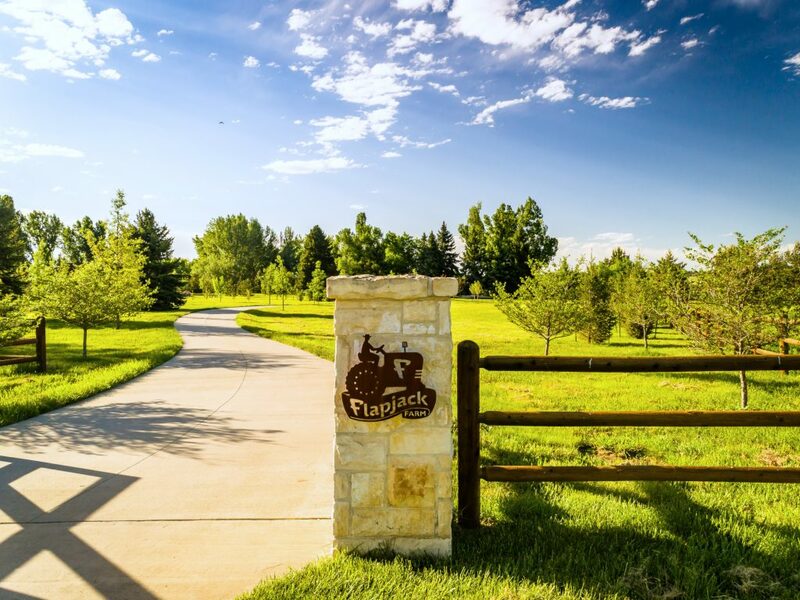 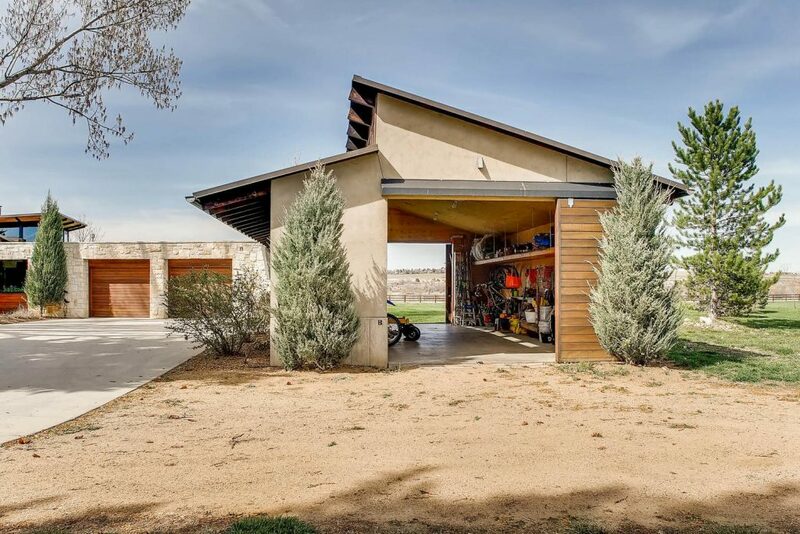 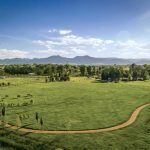 A one mile gravel path winds around the fully fenced property affording views of the vast Boulder Open Space to the North and East along with numerous fruit-bearing trees including Honeycrisp Apple and Asian Pear. 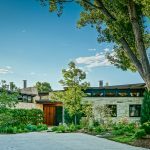 The quarter mile tree-lined concrete drive features ornamental Crabapple, Autumn Purple Ash, Bur Oak and Honey Locust trees. 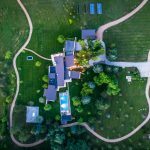 Blueberry bushes, grapevines, espalier Gala Apples and plentiful perennial flowers fill the gardens. 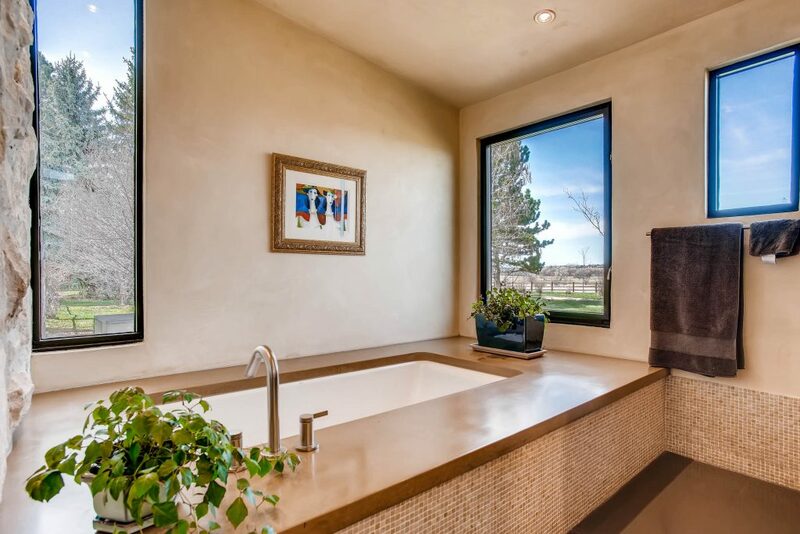 The tranquility of the master suite is enhanced by views of the pool and spa courtyard as well as a luxurious soaking tub in the five-piece bath. 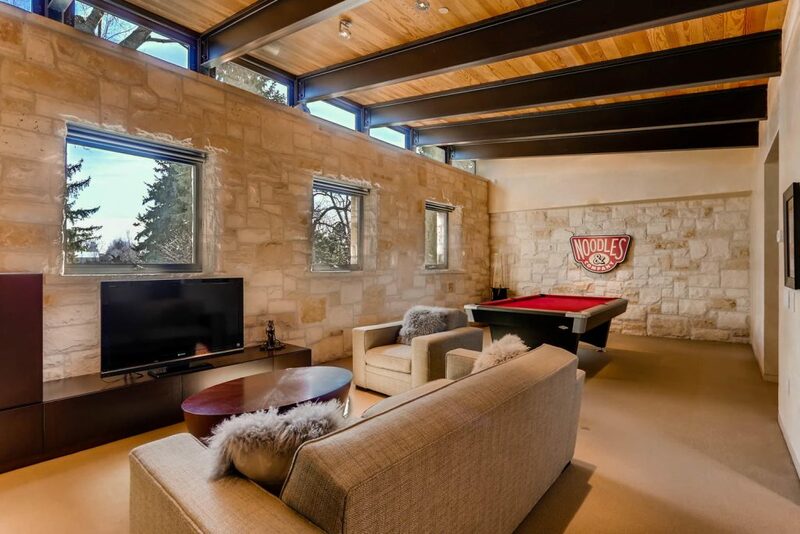 The third section, on either side of the entry to the home, includes a family/game room to the right and around to the left is a private, fully outfitted guest suite, also overlooking the pool, with its own outside entrance. 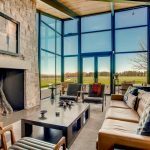 The simple, timeless materials reflect the rural quality of the surroundings and create a sense of calm and permanence. 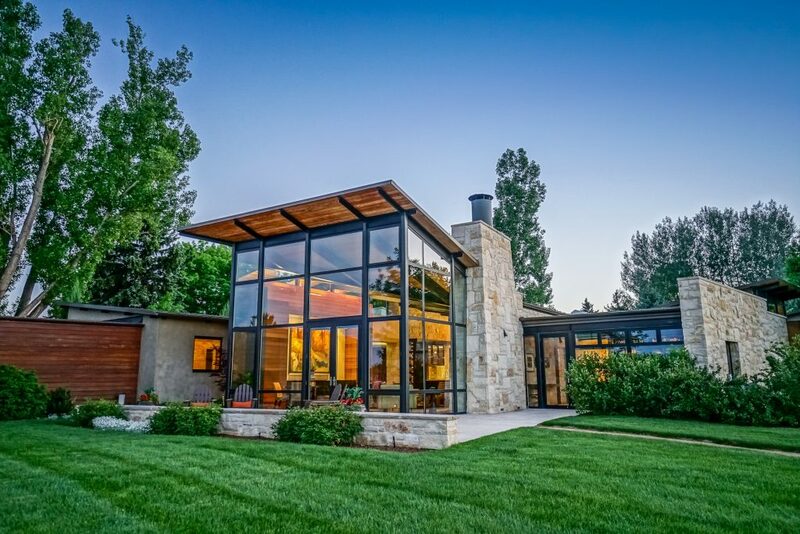 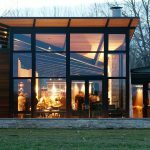 Designed by Semple Brown, one of the region’s most distinguished architectural firms and built with integrity by the master local craftsmen of Denueve Construction. 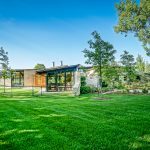 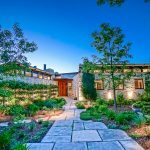 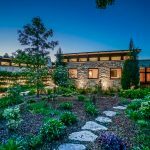 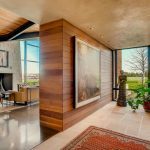 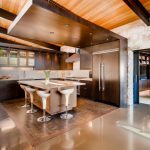 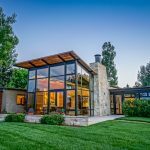 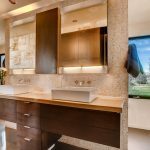 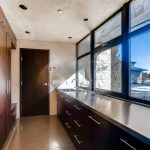 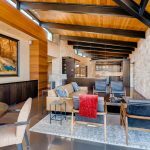 This generational residence has been featured in several local and national magazines and is considered one of the finest homes on Colorado’s Front Range.